Click here to read more about reportage possibilities for administrators. 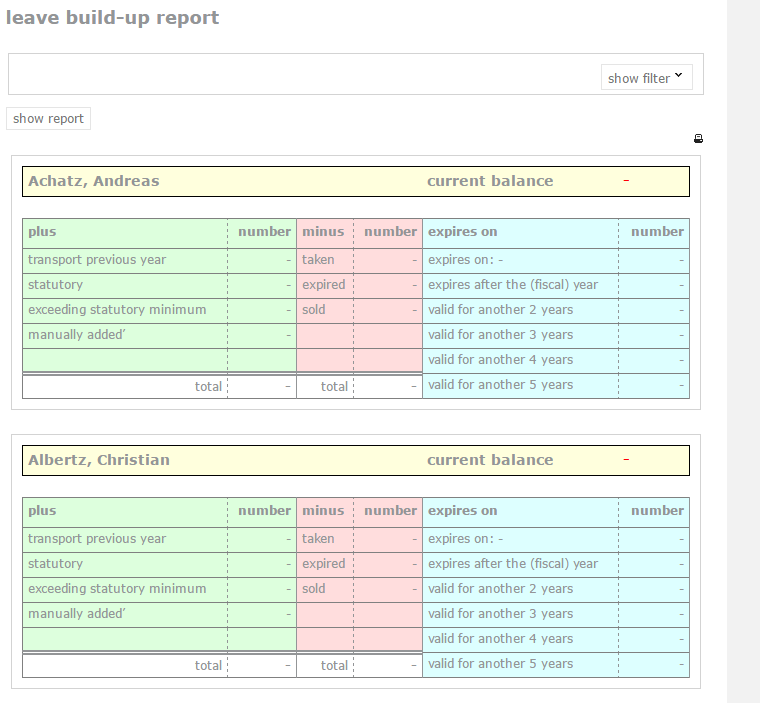 Managers can generate a leave build-up report pertaining to their employees. You can see that the screen is divided into three columns. The left column shows additions, the entitlement, and the remaining balance from the previous year. The middle column shows the taken leave, the expired leave, and the sold leave. The right column shows the build-up of the current balance. It also shows when the leave will expire, and how much leave there is. Attention! This option is only available when your company uses the 2012 legislation which entails a division between statutory and exceeding statutory minimum leave days. When in doubt, contact the Leavedays administrator at your company.